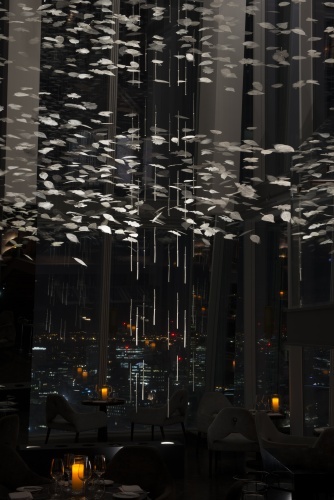 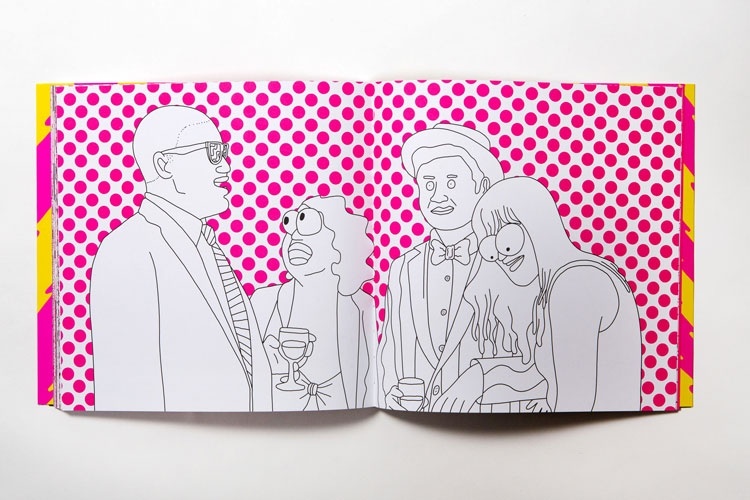 Architect Timothy Hatton has designed a festive-themed installation at Aqua Shard in central London. 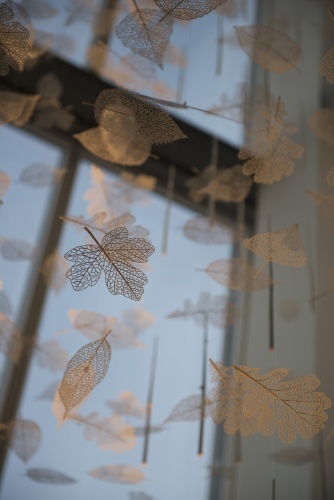 The installation comprises 3,000 of 3D-printed leaves, made up of leaf skeletons from five British deciduous tree species. 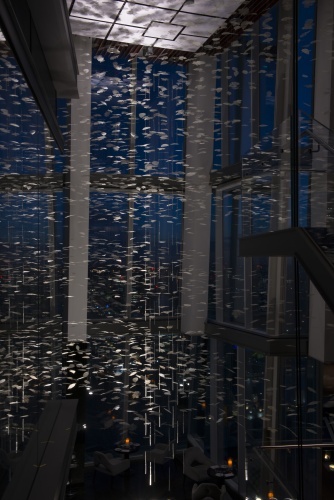 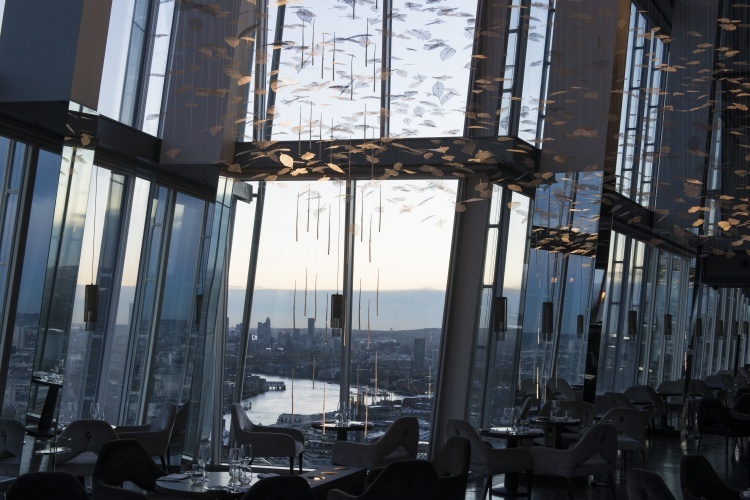 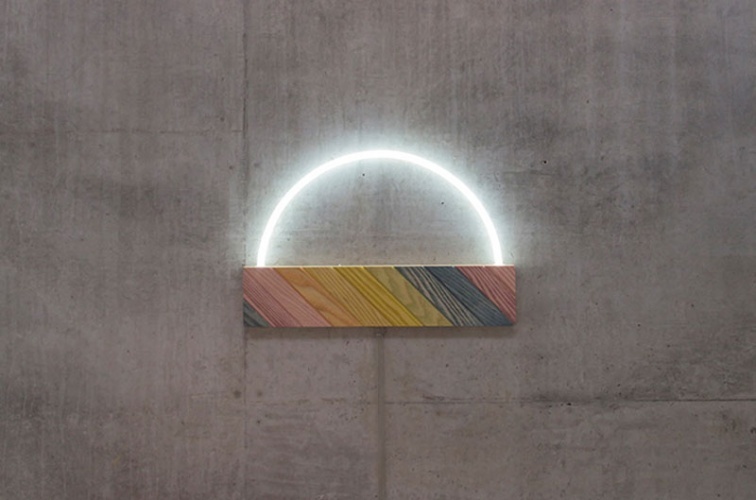 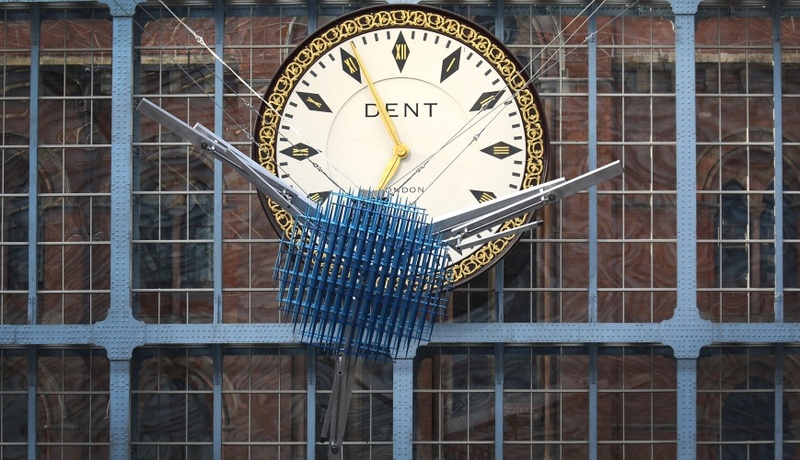 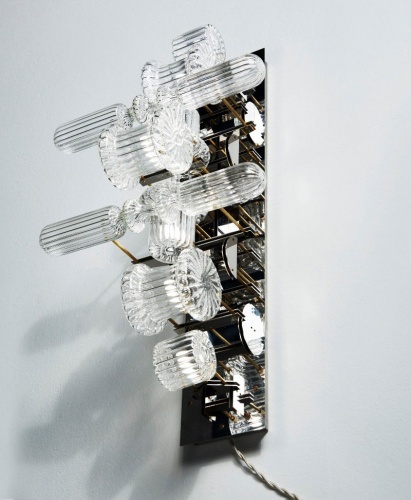 The installation is suspended from the three-storey atrium on the 31st level of the Shard.